This impressive medieval suit of armour is styled after those crafted in Europe during the mid 1500s. The suit of armour features a fine decorated breastplate, broad guarded pauldrons, and an antiqued finish for an aged appearance. For a dramatic effect, stand this suit of armour in the middle of a room as the full skirting allows for a great view from all sides. 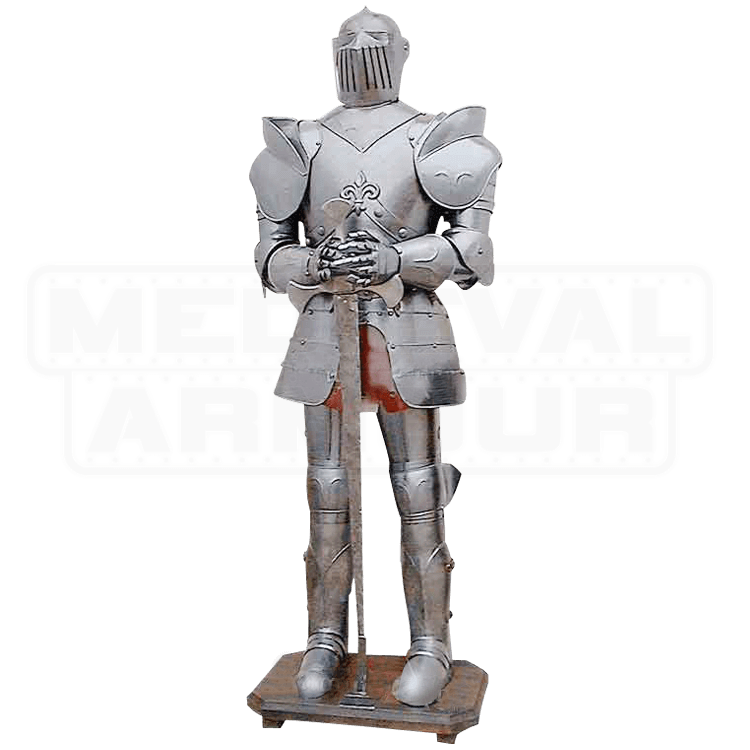 Be the envy of your neighborhood and get a life size armour complete with stand which awaits its place in your home, office, and your life. 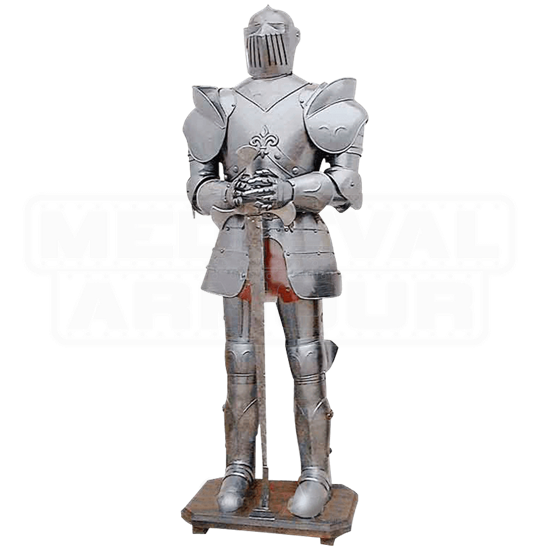 This gallant armour stands 6 feet tall on its wooden base and comes complete with sword. Its breastplate is graced with a raised Fleur-de-lis, the white lilies crest used frequently in heraldic coat of arms during medieval times.